João Velloso teaches sentencing and “sanctioning”, criminology and socio-legal studies. He has a multidisciplinary background in law, criminology, sociology, anthropology and communication. He holds an M.A. in socio-legal studies (Universidade Federal Fluminense, Brazil) and a Ph.D. in criminology (University of Ottawa). His Masters’ dissertation focused on legal responses to contemporary slavery and human trafficking in Brazil and his doctoral thesis explored the Immigration and Refugee Board practices on the regulation of immigration in Canada. 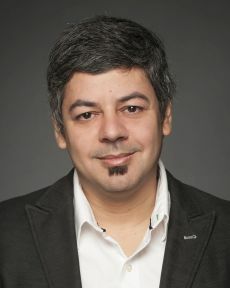 Mr. Velloso was a postdoctoral researcher at the Centre de recherche en droit public (CRDP) of the Université de Montréal in 2014-2015, working on the criminalization of protesters during the G20 in Toronto (2010) and the 2012 Quebec student protests (Printemps Érable). Professor Velloso works in the areas of critical criminology and socio-legal studies, more particularly sociology and anthropology of law. His empirical research focuses on conflict management in comparative perspectives. Domestically, he approaches criminal justice in relation to other normative systems, mainly administrative law-based regimes (e.g. immigration and refugee law). Internationally, he focuses on criminal justice in adversarial and inquisitorial systems (more specifically in Brazil, France and Canada). He is particularly interested in the governance of security through the use of administrative law and the deterioration of rights resulting from these penal configurations that operate alternatively and in addition to criminal justice.